SIGMA Instrumentation is manufactures electromechanical as well as electronic microprocessor based weighing and bagging machines for high speed automatic weighing and bagging of variety of materials such as fertilizers, food grains, sugar, cattle feed, PVC granules, cereals, coal, coke, chemical powder, flour, flakes, soda ash, etc. 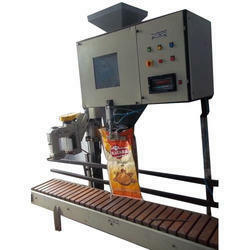 We bring forth a high quality range of Sugar and Tea Bag Packaging Machine. Our machines are the unique weigh metric digital weighing system. The main contact parts are made of stainless steel. Most of the operation are done by Pneumatic Control, control system can adjusting. The compact design with caster wheel for easy mobility have made them the most preferable tea packing machines. Further, these machines are easy to use for labour and maintain. 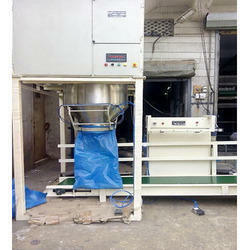 This Machine Basically used in Filling Bags from 1KG to 10KG in Food Industry . 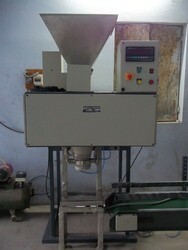 This Machine Specially for designed Dry Onion Kibble Packing System. 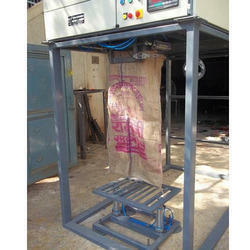 Machine can be automatic weight and than conveying for hot sealing and than storage without damaged. And production very fast packing with hygienic food packing. Aiming at highest level of patron-satisfaction, we are involved in manufacturing, supplying a commendable range of Bag Filling Machine with Switching and Conveying. It is engineered in our world-class manufacturing facility with optimum-grade raw material that is sourced form some of the leading vendors. 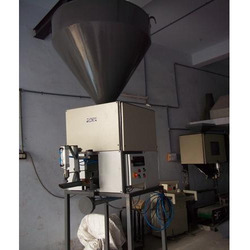 Offered product is suitable from industrial application owing to its high efficiency. We have huge industry experience, we are presenting an excellent quality range of Cement Packaging Machine is valve bag type to our esteemed customers. Our products are made by using optimum quality material and advance technology. These are easily available at a very reasonable market prices.machine also available is double and triple packing line. 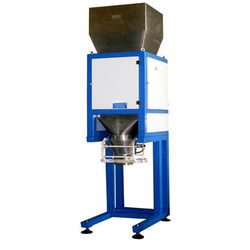 We are counted amongst the leading organizations which are involved in manufacturing, supplying a remarkable range of Granule Bag Filling Machine. It is engineered by our professionals making use of top-grade components and other raw material. 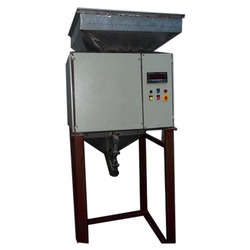 Offered machine is tested on different quality parameters in varied circumstances. Moreover, our clients can get the offered product at highly affordable price range. Water Soluble Fertilizer Packing Machine is one of the most widely used packing machines in the industry. As we are the manufacturers, electronic hopper weighing machine to fill 5 kg ,10 kg, 25 kg, 50 kg, 100 kg bag, we offer a wide range of Packing systems to our customers requirement solutions. These systems is weighing, filling & stitching conveying.If customer requirement loading in truck , we provide truck loading conveyor also. 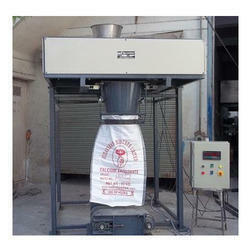 We are the manufacturer of wide range of White Cement Packing Machine. These are used in many industries like chemical powder, cement powder, dolomite powder, lime stone powder, silica sand , putty powder and name a few of bulk material handling industries. The system uses a unique state of art sensing mechanism which is fast & meets or exceeds specifications. This sensing systems is the key to the superior bagging system performance. The system accurately weighs & dumps the material into the bag which is held by the bag holder and drops on to the conveyor where the bag moves to the bag moves on further to a loading dock. 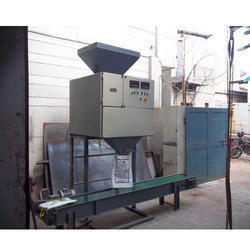 We offer for 25-50 kg Soap Stone Powder Packing Machine. It is most useful for mining, soap stone powder, calcium carbonate and any other powder packing by loadcell based filling machine. This machine use for seed oil cake filling like cotton seed oil cake, soya seed oil cake, rice bran, corn seed oil cake also all granule and powder cattle feed bag filling use.